Basic installation is the simplest TV Mounting service that TV Guy Jay offers and also the most cost effective. All the wires are neatly placed in the cord cover right under the TV instead of inside the wall. 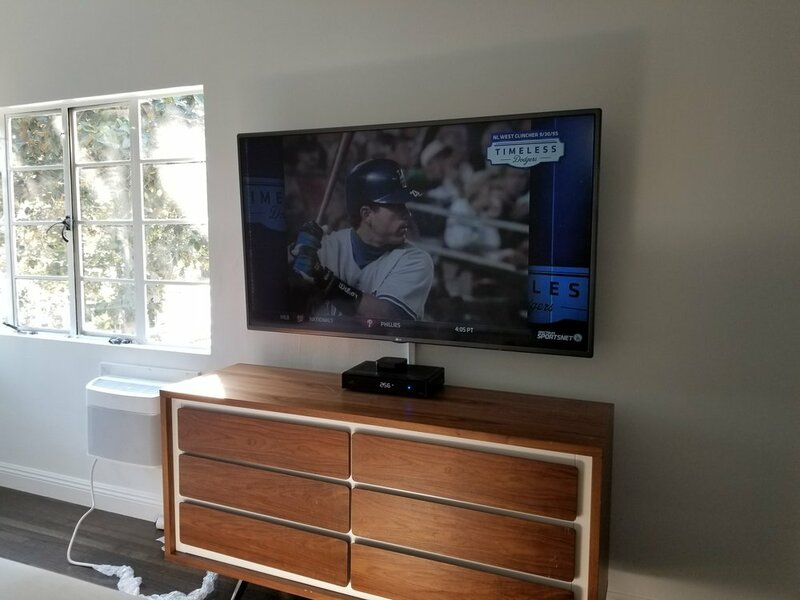 Custom TV Mounting services range from unique TV installs that hide wires in walls, or use specialty mounts - to programming your universal remote properly. We offer a complete professional installation service to make setting up your own personal home theater a breeze. Some of these services include: TV wall mounting, speaker wiring and installation, projector installation, and more! All of our audio and TV services are performed by experts with years of experience in the industry. TV Guy Jay is a leading home theater design and installation company in Los Angeles. 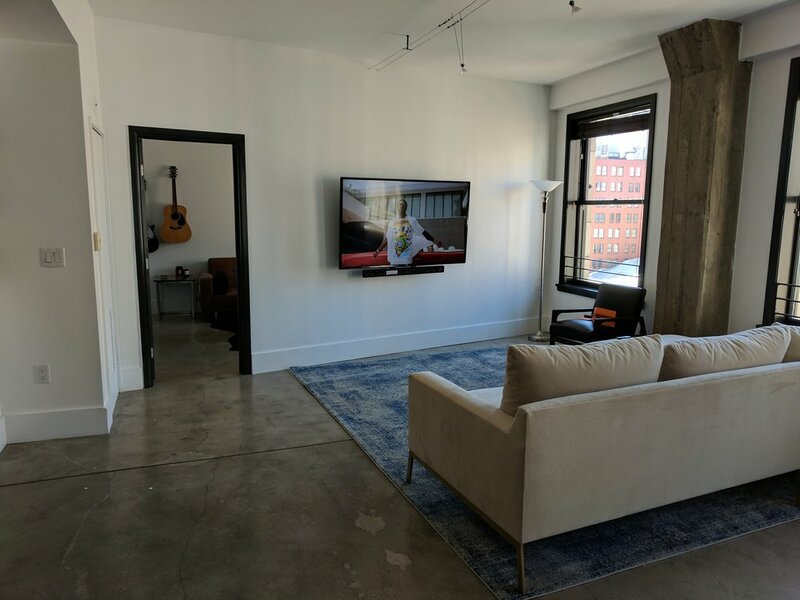 Our expert techs have the years of experience it takes to be able to mount TVs on any type of surface, and adjust the visuals and acoustics to match your specific desires. They also provide exceptional custom wiring, which is always performed up to code. Contact us for a free estimate today. TV guy Jay is a professional TV installation and home theater company that has done incredible home theaters, mount tv’s on the wall, and related products all the while earning our terrific reputation (5 stars on yelp and google with many reviews). We do our best to make sure that our customers are always happy with our work. As such, we have taken it upon ourselves to find the products that we love the most. Now offering them to you at great prices! We offer products from the best, most reputable brands in the industry for great prices! call us for more information!